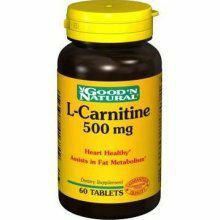 One such supplement that has continued to have positive findings in the literature is carnitine or L-Carnitine (the active form). Since this is an amino acid, it can be found in the body and comes from various foods such as dairy products, meats and avacados but is often not in the body at sufficient levels. In neuropathy, espeically diabetic peripheral neuropathy, this supplement has been shown to improve nerve function, decrease pain associated, increase blood circulation to the hands and feet and has been recognized to regerate neuropathic nerves. Due to this positve effect, it is recommended that any neuropathic patient (especially with discomfort or pain related symptoms) add a supplement for L-Carnitine to their daily intact. If you have neuropathy, this should be considered with your doctor as a possible supplement.